Cheek Law Firm, P.L.L.C., is an aggressive general civil practice law firm practicing in all Oklahoma state and federal courts. The firm is listed in the Martindale-Hubbell Bar Register of Preeminent Lawyers under Insurance Defense, and it is also listed in the A.M. Best Directory of Recommended Insurance Attorneys. While specializing in insurer-centric services such as providing insurance coverage opinions, representing insurers in coverage disputes and bad faith litigation, and defending insureds as insurance defense counsel, Cheek Law Firm, P.L.L.C., also represents clients in a wide variety of non-insurance based cases. Formerly known as Cheek, Cheek & Cheek, the Oklahoma-based Cheek Law Firm, P.L.L.C., was founded in 1942 by Judge James C. Cheek. Judge Cheek served as a judge of the Oklahoma County Juvenile and Probate Court from 1919 to 1922. Afterward, Judge Cheek left the bench and practiced with the firm Cheek, Gibson, Savage, and Benefield until he was joined by his three sons to form the family firm in 1942. In 2009, the firm was organized as a Professional Limited Liability Company by Judge Cheek’s grandson, Tim N. Cheek, and his business partner, D. Todd Riddles. 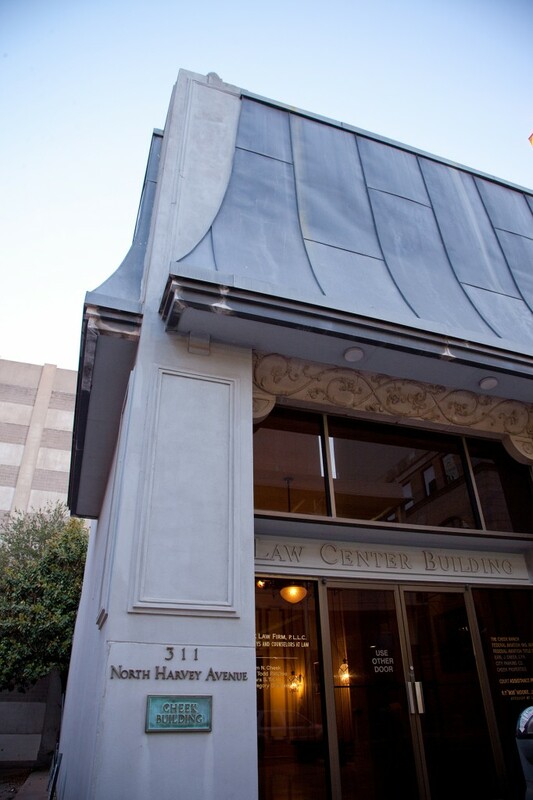 Today, Cheek Law Firm, P.L.L.C., maintains a team of skilled litigation attorneys and support staff committed to providing high quality legal services at reasonable rates. For over six decades and three generations, the firm has provided legal services to Oklahomans. Many alums of Cheek Law Firm, P.L.L.C., are in practice around the State of Oklahoma or on the judicial bench today.